Whether your business is new or established, domestic or international, the Henrico EDA is your central point of contact for development in Henrico County. Our skilled staff will help you navigate the complexities of site selection – from initial research to completed deal. And for businesses already located in Henrico, we’re always on call to help you succeed in any way we can. Contact us at 804.501.7654 or fill out this form. Anthony Romanello became Executive Director of the Henrico County Economic Development Authority in March 2019. He has made his career serving local governments in Virginia to ensure a positive environment for businesses and residents. He worked in town management and county administration for the City of Richmond, West Point, Stafford County, and Henrico County. Anthony grew up in Henrico graduating from Hermitage High School. He holds a Bachelor of Arts in History and American Government with a Minor in Religious Studies from the University of Virginia and a Master of Public Administration from Virginia Commonwealth University. Anthony is a proud Eagle Scout and published author, and he enjoys living in Henrico County with his wife Diane and their five children. Toney has more than 20 years of experience at the local and regional levels, attracting capital investment from a variety of national and international business sectors. He oversees the EDA’s marketing functions as well as its business attraction and expansion programs. Before joining the EDA, he served as Vice President of the Greater Richmond Partnership, founded the Virginia Biotechnology Association, and held several other private and public sector positions. Twyla is an experienced business development professional who has worked for 20 years in private sector business development and project management and eight years in public sector economic development. Most recently, in her former role as Business Development Manager for the Virginia Economic Development Partnership, she was responsible for attracting capital investment and new jobs to the Commonwealth. As the EDA’s Business Attraction Manager, she leads the Business Attraction program to bring new domestic and international businesses to Henrico. Abigail joined the EDA in 2018 after receiving her Master's in Geographic Information Systems from John Hopkins University. As the EDA Research and Real Estate Coordinator, she maintains and manages our real estate database, provides mapping support for projects, and performs research and data analysis for development opportunities in the county and to support businesses. Felicia is a business development professional who has more than 15 years of experience in consulting and helping businesses achieve a higher level of success. Most recently, she worked for three years in workforce development to ensure that companies protect their most important asset – their people. As the EDA's Existing Business Manager, she leads retention and expansion efforts and coordinates the Business First volunteer team to identify local businesses in need of support. Audrey joined the Henrico EDA team in April 2018. Previously, she worked as a Research Analyst for the Virginia Economic Development Partnership (VEDP), where she calculated state’s ROI and designed customized marketing proposals for projects locating to or expanding across the Commonwealth. Audrey is a proud VCU alumna, chips and salsa enthusiast, and self-proclaimed podcast junkie. As the Existing Business Representative, Audrey provides informational assistance to local Henrico businesses, manages business expansion projects, and coordinates business retention special events. 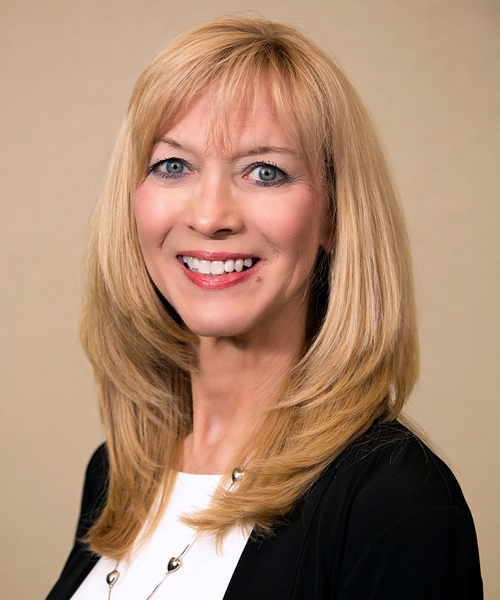 Diane is likely the first person you’ll meet when visiting the Henrico EDA offices. She joined the team in 1996, bringing with her extensive experience in customer service and administration. She is responsible for various administrative duties, including all County account payables. She also assists with the management of the Business First program. Wendy joined the EDA as an Administrative Assistant in 2014, bringing with her considerable experience in corporate and office administration, finance, human resources, project management and real estate. She oversees diverse operational areas, including vendor and contract management, the EDA and Henrico County budgets, and EDA Industrial Revenue Bonds. Wendy also serves as Project Manager for White Oak Technology Park. Board meetings are the 3rd Thursday of each month. Meetings begin at 6:30 pm in the Board Room of the EDA offices located at 4300 E. Parham Rd. Henrico, VA 23228. The December board meeting will be held at the Dominion Club located at 6000 Dominion Club Dr., Glen Allen 23059. Committee Meetings are held in the Board Room of the EDA office located at 4300 E. Parham Rd. Henrico, VA 23228 unless otherwise noted.